It’s a new year and maybe some families are seriously starting to think potty training! If one of your New Year’s Resolutions is to potty train your little one, we have a product that might help you get the job done. The My Carry Potty was invented and designed by a mom for moms to help with potty training. It’s made from high quality, durable plastic, it’s assembly free and ready-to-go. It clips shut and is completely leak and odor proof. Since it doesn’t use disposable bags, it’s great for the environment too. If your a mom on the go, this will be your saving grace. It’s easy to take with you to grandma’s or even a day of running errands. There’s no need to fear the pubic restrooms for your little one with My Carry Potty. But it’s still a great option for potty training at home too. 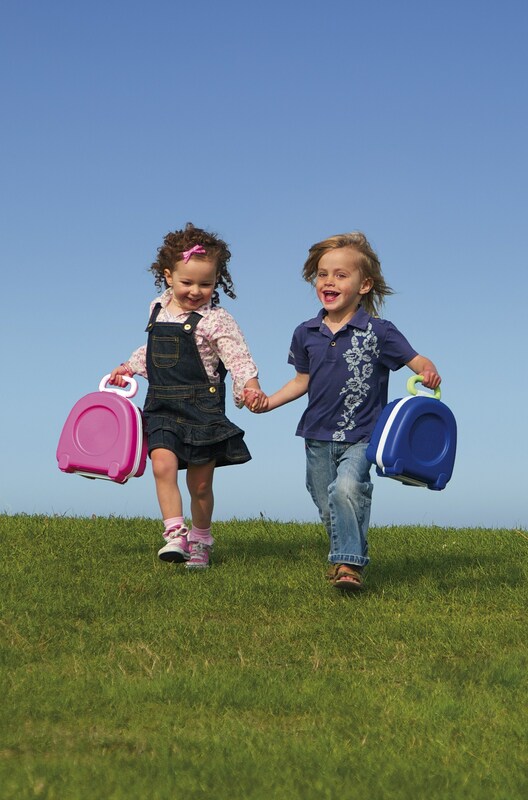 Amanda Jenner, the creator of My Carry Potty came up with the idea when potty training her eldest almost 10 years ago. Her son would only go potty in his own potty, which required her to take it everywhere in a carrier bag. When she was out shopping one day and had to dispose the contents down a drain in a busy street, the disapproving looks got her thinking for a better solution. Ten years later, she has what she believes is the perfect product to successfully help you through potty training. As you begin your potty training journey, here are a few tips from Jenner for potty training your little one. When’s the Right Time to Start? • As with most aspects of child development there is no ‘right’ time. It’s what is right for your child. • However, the physical ability to recognise the need to go to the toilet typically kicks in around the age of 2 as this is when their bladder size increases. • At this age children are able to follow simple instructions and understand them. Remember each child will mature at different rates. • Your child insists on being changed the minute they’ve gone potty. somewhere private when they need to go or are going. • Its not good if there is a new baby in the family or if you have just moved home. • Warmer weather is is a good time because they can run around in their pants so its easier for them to go without lots of layers of clothing. • Take your toddler with you to choose their own potty. This makes it a fun occasion and gets them involved. It gives them a sense of ownership. • Also let them choose their own ‘big girl’ or ‘big boy’ pants. Favourite characters are always a winner! • Try to stick to the same words eg. ‘Let’s go to the potty’ or ‘poo’ or ‘wee’. They’ll begin to recognise and associate these words with the action. You can even make up a fun potty training song! • Make washing hands a non negotiable part of the toilet routine from day one. Make sure soap or hand wash is easily accessible even for the littlest people! • Its important not to become upset with children if they have an accident as they are bound to happen! What are one of your New Year’s Resolutions? Is Potty Training on your list? This entry was posted in Tutti Bambini KIds and tagged my carry potty, new years resolutions, potty training, potty training on the go, potty training on vacation, potty training tips, Tutti Bambini. Bookmark the permalink.